Oliver Twist. A Christmas Carol. David Copperfield. Bleak House. A Tale of Two Cities. Great Expectations. The novels of Charles Dickens (1812-1870) read like a "who's who" of canonical works. Yet less well known is the fact that Dickens himself was something of a created character, a larger-than-life figure who lived through his art and pursued his many passions with a theatrical zeal that could have belonged to one of his famous protagonists. Largely self-taught, with little formal education, Dickens was catapulted to fame at the age of 24 with the publication of The Pickwick Papers in 1836. For the next 30 years, he wrote a prodigious number of novels, short stories, essays and other works while simultaneously campaigning for a variety of social reforms. As Simply Dickens colorfully describes, in life and in art Dickens threw himself into everything he undertook, from taking on the personalities of his characters as he wrote, to pursuing such causes as children's rights and universal education. While some authors have depicted Dickens as a tormented soul or cruel misogynist who compromised his work by pandering to a wide audience, Simply Dickens convincingly shows him as a purposeful, supremely talented, and versatile personality whose popular appeal was central to his achievement. If you could sum up Simply Dickens in three words, what would they be? If you’ve listened to books by Paul Schlicke before, how does this one compare? Have you listened to any of Joff Manning’s other performances before? How does this one compare? This is my first but I thought he did a good job. I found the parts about his childhood interesting. Overall pretty good book but I thought at times it seemed scattered in its approach. I received this book free in exchange for an unbiased review from Audiobook Boom. A very interesting biography of Charles Dickens. I learned a few new things from this book. The narration was well done, but a little bland. Joff Manning reads well. A time waster. Doesn't hold my interest. What was most disappointing about Paul Schlicke’s story? Too many dry facts. Needs more of a story to it. Yes but needed more enthusiasm. Was Simply Dickens worth the listening time? No. I couldn't finish it. For those of you, like myself, who aren't knowledgeable about Dickens this is a great starting point. Interesting, and not too detailed. The narration is great, really engaging. Would definitely recommend. 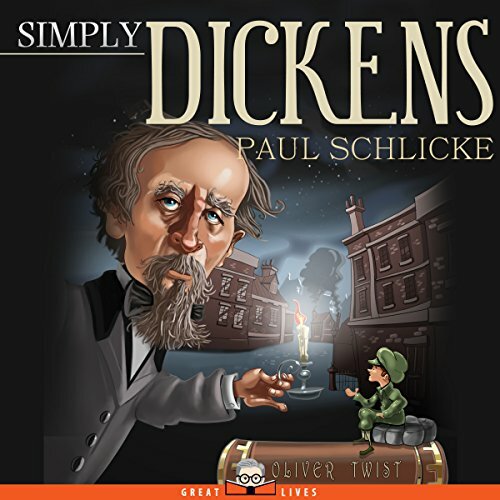 A very good introduction to Dickens, especially useful for students. The narration was spot on. Recommended.